Definition at line 182 of file rpc_msg.h. Definition at line 124 of file rpc_msg.h. Definition at line 125 of file rpc_msg.h. Definition at line 140 of file rpc_msg.h. Definition at line 141 of file rpc_msg.h. Definition at line 183 of file rpc_msg.h. Definition at line 179 of file rpc_msg.h. Definition at line 180 of file rpc_msg.h. Definition at line 153 of file rpc_msg.h. Definition at line 154 of file rpc_msg.h. Definition at line 66 of file rpc_msg.h. Definition at line 67 of file rpc_msg.h. Definition at line 87 of file rpc_msg.h. Definition at line 77 of file rpc_msg.h. Definition at line 96 of file rpc_msg.h. Definition at line 82 of file rpc_msg.h. Definition at line 348 of file rpc_prot.c. Definition at line 117 of file rpc_prot.c. Definition at line 257 of file rpc_prot.c. Definition at line 50 of file rpc_callmsg.c. 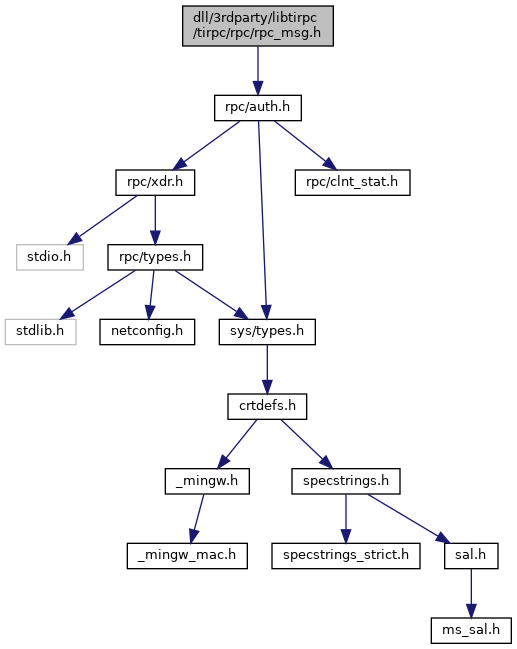 Referenced by rpc_broadcast_exp(), svc_dg_recv(), svc_raw_recv(), and svc_vc_recv(). Definition at line 234 of file rpc_prot.c. Definition at line 221 of file rpc_prot.c. Definition at line 209 of file rpc_prot.c. Definition at line 153 of file rpc_prot.c. Definition at line 188 of file rpc_prot.c. Referenced by clnt_cb_thread(), rpc_broadcast_exp(), svc_dg_reply(), svc_raw_reply(), and svc_vc_reply().